We offer a selection of glass depending on your needs, including non-reflective and specialist UV protection glass. Our standard 2mm picture glass is suitable for most applications, however specialist glass is an options can greatly enhance to look and conservation of your picture. Where the picture will be hung? will it be in direct sunlight? How valuable is the picture? Does it need to be protected from fading? Will the picture need to be sent through the post, or be hung where standard glass could be in danger of being smashed? 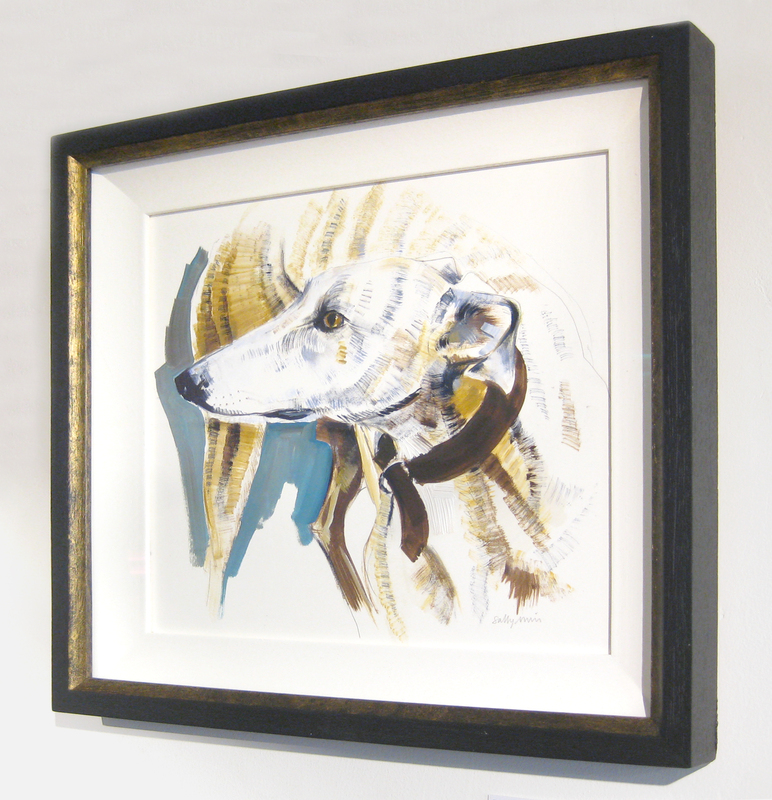 Our standard high quality 2mm picture glass offers great protection for your artwork, keeping dust and dirt away from your pictures as well as blocking out some UV. When pictures are hung in high reflection areas you may want to use our anti-reflect glass which disperses excess light, so you won’t see windows and lights reflected back at you. 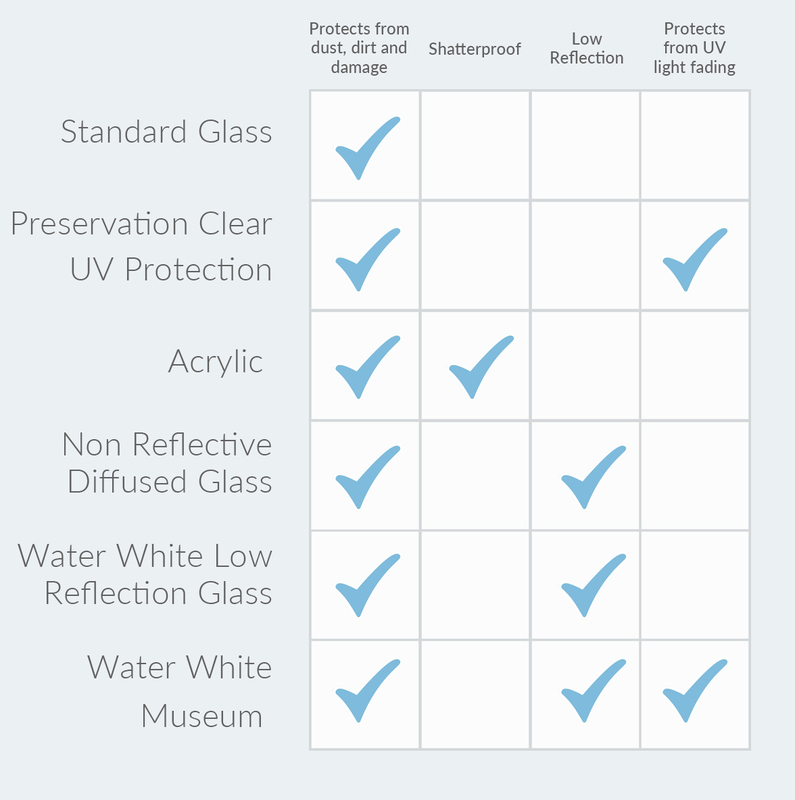 This glass protects your artwork from 99% of harmful UV light, preventing fading. The amount of reflection is the same as standard glass. This advanced glass has precisely controlled layers of highly energized metal oxides onto an Extra Clear lower iron substrate. This provides the highest brightness and contrast levels available with no reflections. A lightweight shatter resistant alternative to standard glass, acrylic glass is ideally suited to work that needs to be transported or posted. For the most precious artwork or family heirlooms, Museum glass is the highest quality anti-reflective picture framing glass available in the industry. It also protects works of art against 99% of harmful indoor and outdoor UV light rays.